Gangtey palace was built in the late 1800s during a time when Bhutan was still growing as an independent state. Penlops or Governors administered vast areas of lands across the country. In one of his official travels, the Penlop of Paro, Dawa Penjor is said to have rested with his entourage near the site. Struck by its beauty, he decided to build his palace. When you enter the gates of Gangtey Palace in Paro, in western Bhutan, one often feel the past come alive in the present, glories of history unfolding in its walls and a marriage of traditional beauty with modern luxury. 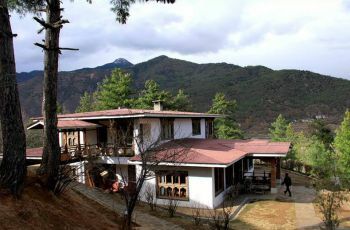 The palace offers a bird’s eye view of the beautiful Paro valley on all three sides adorned with lush green paddy fields. In one of his official travels, the Penlop of Paro, Dawa Penjor is said to have rested his entourage near the site. Struck by the beauty of it, he bought the land from the people. An expert architect of the time, Zow Gendey was called to build his palace. 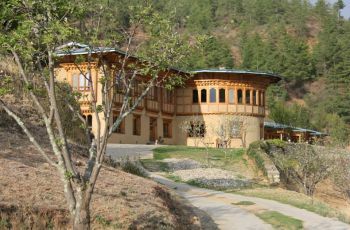 Zow Gendey is also believed to have influenced major Bhutanese architectural designs in Paro valley and across the country. During the time, Bhutan was still facing Tibetan invasion from the north. Penlop Tshering Penjor, who succeeded as the Paro Penlop took possession of the palace. Tshering Penjor is said to have been responsible for warding off an invasion from the north. 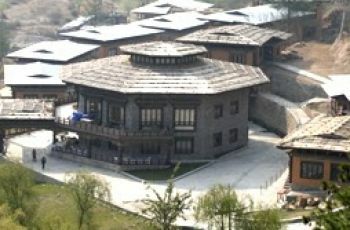 The Penlops who lived in the palace is said to have laid great importance on Driglam Namzha or traditional Bhutanese etiquette. According to oral literature, the Penlops were both expert administrators and devout Buddhists. 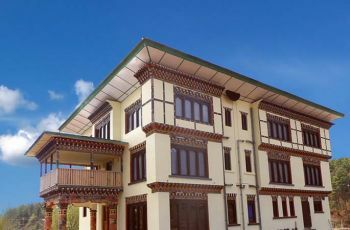 In recent past, the Third Druk Gyalpo Jigme Dorji Wangchuck and the Royal Grandmother Ashi Kezang Choden Wangchuck resided in the palace during the flood in occasional visits to the palace. The first Indian Prime Minister Pundit Jawaharlal Nehru also spent time in the palace in 1958. Do you own/manage Gangtey Palace Hotel ?